Flying taxis could be available as early as 2020, according to Rolls Royce. 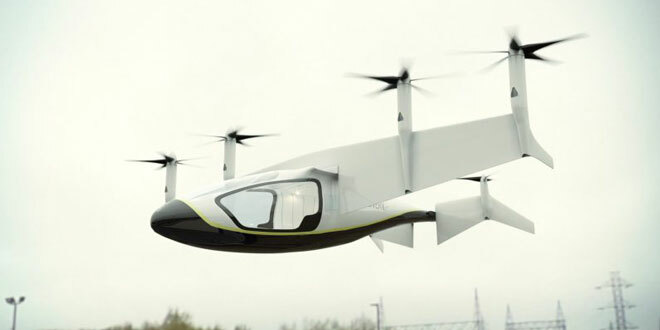 FARNBOROUGH, United Kingdom (AFP) – British engine maker Rolls-Royce revealed plans to develop a hybrid electric vehicle, dubbed the “flying taxi,” which takes off and lands vertically and could be airborne within five years. The London-listed aerospace giant, which is based in Derby in central England, showed off the plans at the Farnborough Airshow for the first time, as other players also rush into the market segment. ”In this market, you will see something like this flying within three to five years, and we will demonstrate the system in two years,” said Rob Watson, head of Rolls-Royce’s electrical team. ”At the end of next year we will be flight ready,” he told AFP at the group’s Farnborough chalet. ”There is an emerging market for all-electric planes but we believe that you need a level of requirement that an all electric system cannot really provide today,” Watson told AFP.